DULLES, Va.Apr. 10, 2017-- Orbital ATK (NYSE: OA), a global leader in aerospace and defense technologies, announced today that it has received $92 million in small-caliber ammunition orders from the U.S. Army. 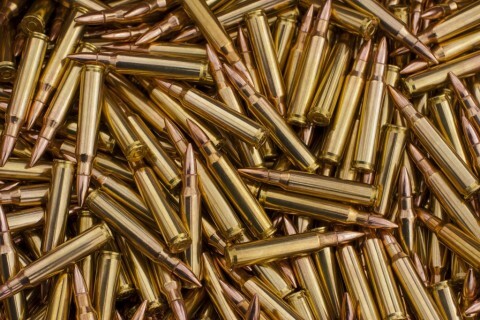 Orders were placed for 5.56mm and 7.62mm ammunition under Orbital ATK s supply contract to produce small-caliber ammunition for the U.S. government at the Lake City Army Ammunition Plant (Lake City) in Independence, Missouri. The orders are in line with expected volumes. Orbital ATK is the largest manufacturer of small-caliber ammunition for the U.S. Department of Defense. Since 2000, Orbital ATK has produced more than 17 billion rounds of small-caliber ammunition at Lake City to support U.S. and allied warfighters around the globe. Orbital ATK and the U.S. Army have made significant upgrades at the facility in recent years that have enhanced product quality; and performance, efficiency and operational improvements for safety and environmental stewardship. Orbital ATK is honored to continue our longstanding support of the U.S. Armed Forces and its allies by providing them with reliable, high-quality ammunition, said Jim Nichols, Vice President and General Manager of Orbital ATK's Small Caliber Systems Division of the Defense Systems Group. Every member of the Orbital ATK team understands that our nation s warfighters depend on us to provide the highest quality ammunition possible, and we do not take that responsibility lightly.